Is Document Management the answer to a stress free audit? 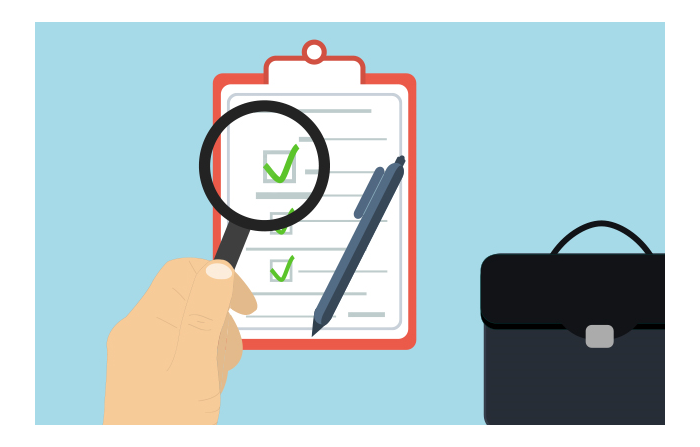 An audit is an inspection of an organisation’s financial reports, systems and processes to ensure the correct procedures are being followed, and companies are compliant and risk free. They can also highlight any discrepancies between your policies and your procedures – what you should be doing vs what you are actually doing. One of the biggest audit headaches is that auditors can request a myriad of documentation. If you rely on manual processes to manage your documents, this could result in documents being scattered across your business – in inboxes, filing cabinets, H drives, desk drawers, off site storage etc. Manually collating them not only requires a lot of time and effort, but storing your documents in such an disorganised way can also result in the business being non compliant. How would your business be affected if a document had been misfiled or lost and was inaccessible to you and your auditors? Bad processes or employees not following the correct procedures could result in non-compliance. And non-compliance of industry regulations can have serious business, financial, legal and reputational implications. But an audit doesn’t have to be a stressful experience for you or your business. The introduction of a Document Management system (also known as EDM – Electronic Document Management or ECM – Enterprise Content Management) can help you manage your documents, streamline your business processes and provide visibility of compliance actions. So, what is Document Management? A Document Management system allows you to create, capture, store, authorise, deliver and manage business critical documents. All of your documents and data are stored electronically in one central repository. Forms, applications, paper documents and schedules can be stored, with indexes, to create searchable content, allowing you to find and retrieve files in seconds. Document Management systems integrate seamlessly with your existing in house applications and work intelligently ‘behind the scenes’ to link all of your applications together and easily share information between them. In addition, by incorporating Electronic Workflows, you can ensure that business rules are followed consistently. Make your information available to the right people and the right time, and transform the way you work. With business rules and workflow in place, you know that the correct procedures are always followed. Escalate approvals and reviews to ensure deadlines are not missed. Alerts will highlight any deviation from the rules automatically. Handle exceptions consistently by creating a separate workflow with its own set of rules. Using Electronic Workflows increase efficiency and accuracy. When a document is stored in a Document Management system, you can be confident that you are always working with the latest version, but version control allows you to access all previous versions if necessary. If selected documents must be stored for a specific length of time (in line with compliance regulations), rules can be set to automatically move documents to archive, or delete them when they have expired. An audit trail is a report showing who has accessed what document, when, and how it was used. You can verify that the latest version of a document is archived, and track system admin changes. Audit trails supply detailed information for auditors, providing visibility into your processes and helping to prove compliance. Allow auditors to have secure access to your documents via a standard web browser. Inspections can be conducted remotely with no disruption to you and your colleagues. With powerful keyword search functions of a Document Management system, documents needed for audits are available in seconds. During the inspection, auditors can simply export any information they need in a digital format, saving everyone time and money. Audits don’t have to be a stressful experience when you take advantage of the intelligent features of a Document Management solution to manage your documents and data effectively. Proactively managing audits and compliance can increase the transparency of your business. With the correct workflow, procedures and policies in place, supplying the correct documents to auditors and outside organisations can be quick, simple, unobtrusive and stress free. If you would like to find out more about how Document Management solutions can benefit your business, please get in touch on 01285 810606 or email sales@yourdms.net – we look forward to talking to you.